One of the biggest news items at the 2010 Consumer Electronics Show was AMD’s announcement of mobile DirectX 11 GPUs. Even as it surpassed NVIDIA in the desktop graphics market, AMD still trailed NVIDIA in the laptop GPU market. AMD’s previous generation of mobile GPUs, the Mobility Radeon 4000, series had very little adoption. So with the announcement of the Mobility Radeon 5000 series and the excellent performance it would bring, both the pressure and the promise were high. The good news is that AMD indeed appears to be getting its mobile GPU products to market this time around. ASUSTek thus far has been the only major taker of AMD’s DirectX 11 parts, but fortunately for AMD, it has been quite aggressive in rolling them out across its lineup. 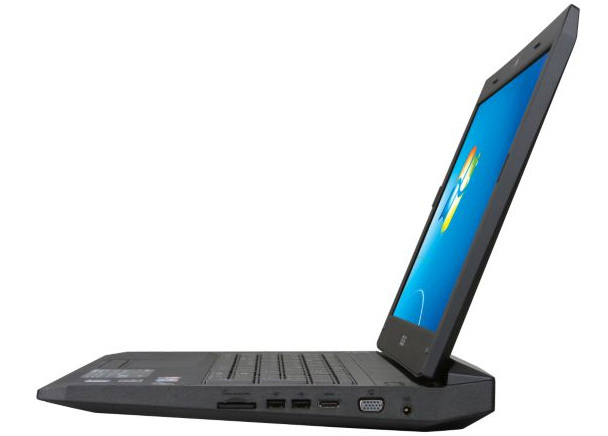 It first introduced laptops with the Mobility Radeon HD 5470 and Mobility Radeon HD 5730. Now it has upgraded its lineup to include two new models that features AMD’s flagship mobile design, the Mobility Radeon HD 5870. The pair of laptops, the G73JH-X1 and G73JH-A2, both retail for $1599.99 on Newegg.com and pack an Intel Core i7 720QM(1.60GHz) processor, 8 GB of DDR3 RAM, and a high-resolution 17.3-in. backlit 1920×1080 screen (to help make having such a powerful mobile graphics card worthwhile). Both machines weigh in it at 8 lbs. The X1 variant has a 1 TB HDD, while the A2 has a smaller 500 GB HDD but comes with a backpack and mouse. The Mobility Radeon 5870 features 1 GB of GDDR 5 RAM clocked at 1000 MHz and an 800-pipeline Broadway GPU core, clocked at 700 MHz. It offers over a teraflop of processing power at under 60 W thanks in part to the ultra-small 40 nm process technology its built on. For gamers the release is exciting news. AMD’s internal testing shows the new mobile card beating NVIDIA’s top of the line GTX 280M by a margin of about 25 percent in a variety of modern games, including Crysis, Far Cry 2, and Left 4 Dead. The GPU in synthetic benchmarks is only just beat by SLI designs from NVIDIA. 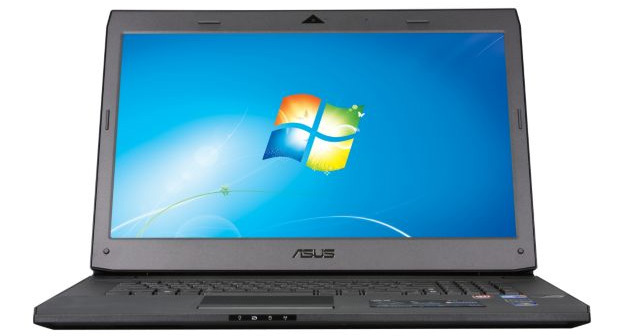 That means that the new laptops from ASUS may be the fastest non-SLI gaming laptops on the market currently. Until independent benchmarks come in, that cannot be confirmed with certainty, but the folks at AMD are very confident that the MR HD 5870 is the fastest single GPU in laptops. When paired with a high resolution screen, such as the G73JH-X1, the new GPU should make for mobile gaming bliss. Expect more OEMs to jump on the bandwagon as they continue the long wait for NVIDIA’s DirectX 11 response, which is expected sometime late this month or early next month.